When you add new hard drives to your computer, you need to properly partition and format the drive, for disciplined and easy storage of data. Even though the Windows Operating provides partition manager, its is very trivial and requires expert level knowledge for proper understanding and usage. Also, it is almost impossible to re-partitioning the drive with Windows built-in partition manager. But, here is a full fledged partition manager software from EaseUS, which can help you partition and format the drives very easily!. It can help you re-size an existing partition, and very importantly your System primary partition where the Windows Operating is installed!. This would really help you solve the problem of slow response of Windows Operating system and installed applications, due to the low disk space in the System drive. Extra space can be easily added to the system partition with the help of re-partitioning feature available in Free Partition Manager. We have tried the Free Partition Manager from EaseUS, and found that it is a quiet impressive software in terms of functionality, interface and in usage guides. EaseUS team has built the partition manager with a very simple, aesthetic, and easy to use GUI, abstracting all the complexities involved in the partitioning and formatting of hard drives. Its indeed a very useful partition manager, must have, for Windows PCs. 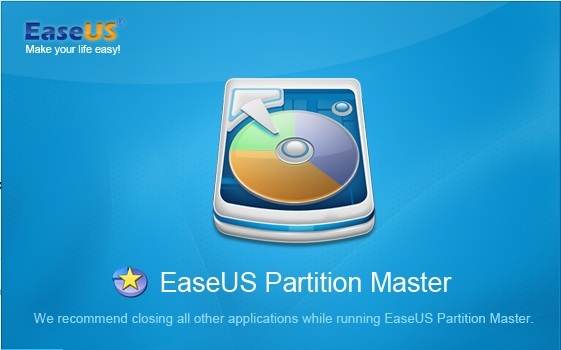 Download Partition Manager from EaseUS . I wanted to send a brief word so as to say tkanhs to you for all the nice tactics you are showing at this website. My long internet investigation has finally been paid with extremely good facts and strategies to talk about with my family. I would admit that most of us visitors are truly endowed to be in a great network with very many wonderful individuals with valuable tips. I feel somewhat lucky to have encountered your entire webpages and look forward to really more thrilling minutes reading here. Thanks once again for all the details.